When travelling on a budget, saving money on food is essential to keeping the costs low. While the best way to save money is to make your own meals, trying the local cuisine is all part of the travel experience, so make a compromise by getting some cheap food in Whakatane! This harbourside town is packed with eateries offering fresh seafood and produce! Whakatane’s restaurants, cafes and cars cater to every taste and every mood, all while being affordable. 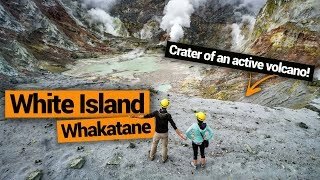 In between trying some delicious Kiwi, European or Asian classics, be sure to discover more of Whakatane by checking out these 11 Amazing Things to Do in Whakatane. 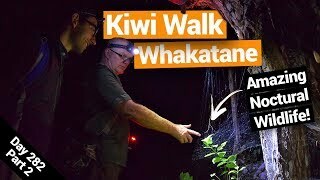 Work off some of those fish and chips with these 6 Must-Do Bike Trails in Whakatane and 10 Must-Do Walks in Whakatane. 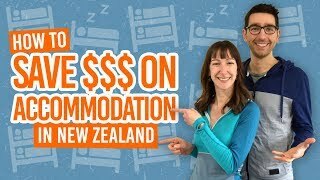 Plus, save some more money by staying in one of the 5 Best Backpacker Hostels in Whakatane. 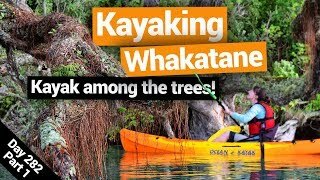 Before you dive into some cheap eats in Whakatane, why not discover one of the amazing foodie activities in the area? Here are a few suggestions! Experience a classic Kiwi farmers’ market the Whakatane Sunday Market at Rex Morpeth Park, 8am-1pm. Try some fresh berries (and their ice creams) from one of the local berry farms like the Blueberry Corner or Julains Berry Farm. Ohope Beach is the ideal location for a picnic once you pick up one of the takeaways that we list below! Attend the Local Wild Food Challenge (beginning of February every year) where locals battle it out to create the best dish out of food they have hunted, fished and gathered themselves. Try authentic Maori food with a hangi with NATIVConnectioNZ or indigenous tasters on the Mataatua Maori Experience. Find out more in 10 Best Maori Tours in New Zealand. Ohiwa Oyster Farm, 111 Wainui Road in Ohope, has some seriously cheap seafood on sale! There’s plenty to choose from under NZ$10 such as 12 oysters, burgers, toasted sandwiches and much more! They have grown all their own oysters since 1968. Another fantastic takeaway option which will warm the soul is Deli Roasts, 18 Richardson Street. They have hot sandwiches, rolls and burgers for under NZ$8, and their small roast menus are around NZ$12. Sit down or take-away some traditional Indian cuisine at the Spice Junction, 75 The Strand. Many of their main meals on the lunch menu are NZ$10, including favourites like butter chicken and chicken tikka masala, as well as something different to try like Saag Aloo. For a healthy, filling and affordable lunch, try Mr Sushi, 115 The Strand, with small (but not so small) lunch boxes for NZ$9.90. The Quart House Bar, 115B The Strand, has some of the best value food and drink in Whakatane, with hot meals from NZ$3.50, beer from NZ$6 and wine from NZ$5. This is an old-school style bar with pool tables and sports on TV. For lunch, try Cafe Coco, 10 Richardson Street, with their great selection of cabinet food. There’s plenty of choice under NZ$10 to go with your organic fair-trade coffee. Alternatively, there is Cafe 4U, 93 The Strand, also with cabinet food and homemade baking. On top of all that, your final cabinet food option is at The Bakehouse Cafe, 36 Richardson Street, which is a great place to grab a healthy lunch and their freshly-made salads. With NZ$11.99 specials on all mains (except seafood) on Mondays, Tuesdays and Wednesdays, Popsies Indian Restaurant, Cafe & Bar on 41 Kakahoroa Drive is well worth considering! They also do a $11.99 lunch special with any curry, rice, naan and a soft drink, seven days a week! For delicious Thai and European food at an affordable price, choose from the takeaway or lunch menu at Global Thai Restaurant & Bar, Corner The Strand and Commerce Street. Takeaway mains are NZ$18.50-$22.50 and lunch main NZ$15.50-$17.50. Set in a historic hotel in the town centre, Cobb & Co, 79 The Strand, has an affordable lunch menu starting from NZ$14.90 for some Texas-style food – think southern-fried chicken, stacks of hashbrowns and bacon, and roast of the day. A classic Kiwi fish n’ chips experience awaits at Wally’s on the Wharf, 2 The Strand. Try some of the freshest fish and chips or their speciality Coromandel mussels. There are filling fish, chips and salad meals for around NZ$14. A fun place to take the family (or the kids at heart) is Julians Berry Farm & Cafe, 12 Huna Road, with real berry ice creams, baby animals, playgournd and mini golf course. Their lunch menu is all under NZ$20 with lots of variety. Note that the cafe is only open from late September to the end of February. For early birds, head to the White Island Cafe, 15 The Strand, with a great breakfast menu all under NZ$20. The cafe next to White Island Tours & Motel is open from 6.30am.